Pedro Walpole at the start of the new year of study welcomed the new school manager to Apu Palamguwan Cultural Education Center along with the Tribal Council. It was an occasion of much anticipation and hope for the coming years. A pandawat is when we welcome a stranger as a friend; it is when we share food, life experiences and our hopes. So great is our hope and aspiration we ask our loved ones, ancestors, all life on the land (tanghaga) and Migtanghaga (Creator) to join us in this celebration of and gratitude for life. At the same time as we welcome Ruben from Sultan Kudarat, our new manager and remember his family; we share our experiences of over twenty years of organized education in Bendum and the long process of developing the gaup or ancestral domain. After twenty more years of learning in community, of basic education and cultural knowledge, we are now sharing that knowledge formally in our integrated program of grade seven. This bridging of our bimonthly youth program (hulas) and the new level in our integrated cultural education is a further beginning. We are proud of our four young foresters already assisting in natural regeneration, our carpenters and masons. 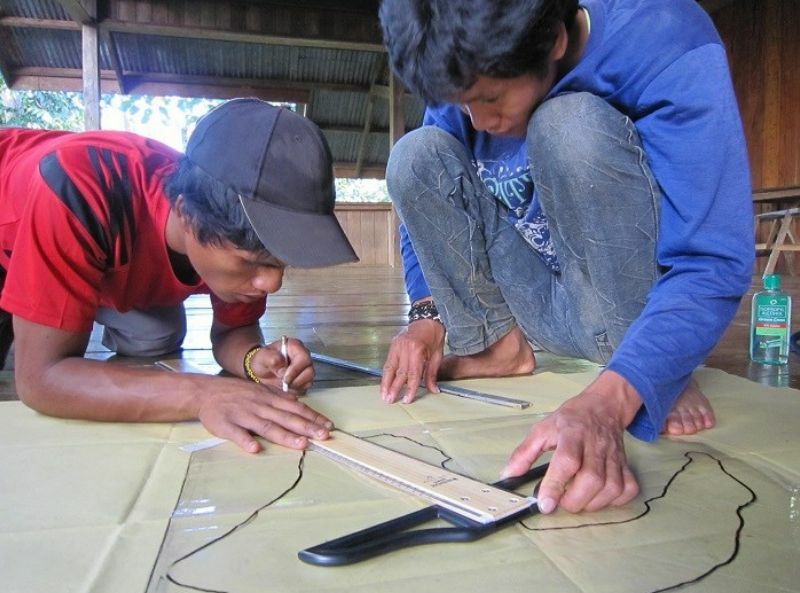 Jason and Israel, two of the young foresters in Bendum, doing resource mapping. We are also proud of our many students, twenty or so, who have come back to teach in communities around so they become community of practice in responding to the local challenges. Natural Resource Management is at the core of our education as the gaup is focus of our communities and the core of our life here in Pulangi. It now becomes a recognized course in basic education and we hope our graduates become of much service in the years to come. It incorporates the work of many of our partners over the years of the Asia Forest Network and Food and Agricultural Organization of the United Nations. 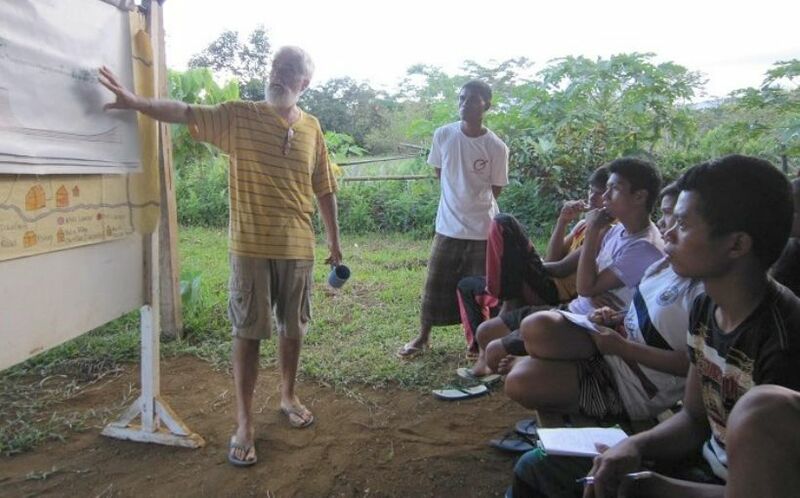 We not only learn of the policies and institutions affecting our social and cultural inclusion in society like the National Commission on Indigenous Peoples, but we struggle to learn how to negotiate a pathway in the larger world between exploitation of forest, land, water and wildlife and that of conservation to the exclusion of people, to a new and hopeful reality of culturally sustainable resource management. 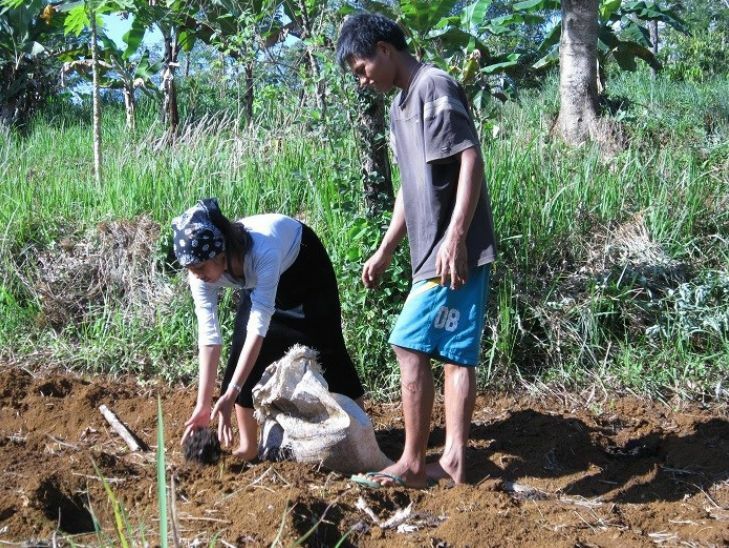 Youth doing gardening as part of the Agroforestry program. The reality that we work for is that of peace and sustainability. We may contribute no wood as in logs, but carbon as in living forests, water and air as in ecological services to the extending communities beyond in Mindanao. We seek to do this while producing the food and having the economic inclusion through a local agriculture that sustains the relations of the land. We feel fortunate that the waves of intensive agriculture, with the high chemical input on the plateau outside, have not yet affected our land and water and the health of our community. We seek to find ways that our children will have a good life contributing to society and benefiting from greater national sustainable development. We now clearly contribute to the ideal of the United Nations Education for Sustainability in a very real way and on the other hand test the Sustainable Development Goals of the next fifteen years for their integrity and inclusion. 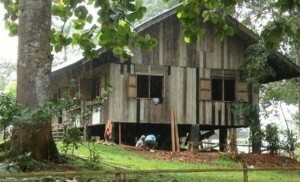 The dalupaan in Bendum where students from far villages stay. Another part of that reality is that the life of the forest has shared its diversity with us. While we have nurtured over 2,000 seedlings in critical areas we have cut trees from our farms to build many homes and a sturdy and safe learning dalupaan(longhouse). This dalupaan is another dimension to our learning. We can eat and rest here daily and in the evenings relate to one another, forming relations that sustain a lifelong learning and community. Photo caption: Pedro reviewing the work of the youth in forest activities that can be made into management plan.